Wednesday: Moonlight Special, 30%-off most washers from 3p.m. until closing. 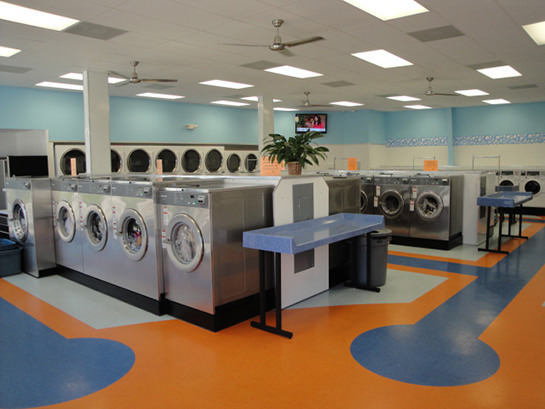 Wash Smart Laundry Serves the business community of Tyler, Texas with commercial laundry services. Let us customize an account to meet your business needs. Call today for an appointment. I love this place! It’s always clean, staff is so friendly and enjoyable to be around and the owner is pretty cool. Any time I have a problem they are quick to fix it! Friendly owners and employees, clean, safe, economical. My comforter looks great! This is the place to go! Wash Smart rocks!!! Always clean, friendly service, great machines. Whether I do my own laundry or use their services, it’s always a good experience. Place is nice and clean. The larger machines made it possible to do a lot of laundry in a short period of time. Wash Smart Laundry has clean and safe facilities with full-time attendants. Copyright © 2019. Wash Smart Laundry. All Rights Reserved.